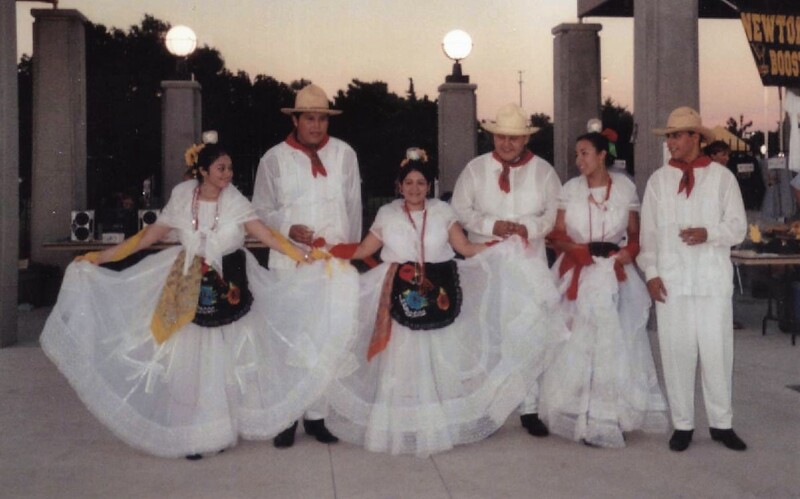 In the early days, the white outfits of the girls in the Azteca Dance troupe were converted lace curtains from local Newton stores. Photo credit: collection of Regina Burke. 2005.